New for 2011 specially designed Nest Swings will make a fantastic addition to any garden and are extremely comfortable. 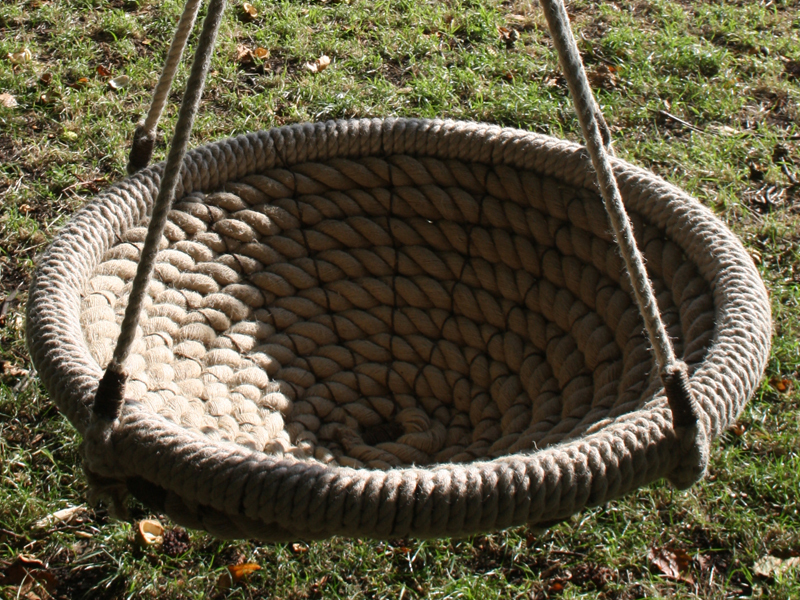 Their Chatham Rope swing is lined with the finest rope from the Master Ropemakers and need no further cushioning. A sturdy stainless steel tube structure is hidden within the soft rope. Ideal for both adults and children and come with full hanging instructions. Ideal for lazing in the garden, you might often find us in ours with the Sunday papers and a coffee on a sunny morning, equally we've also had it on good authority from a head teacher where we installed one in a school playground that four or five small children have been known to be sat in our nest swing at once. Our nest swing measures 800mm across.